Source Audio’s new ’verb unit channels vintage nuances of spring reverb, but also provides the option of classic tremolo. 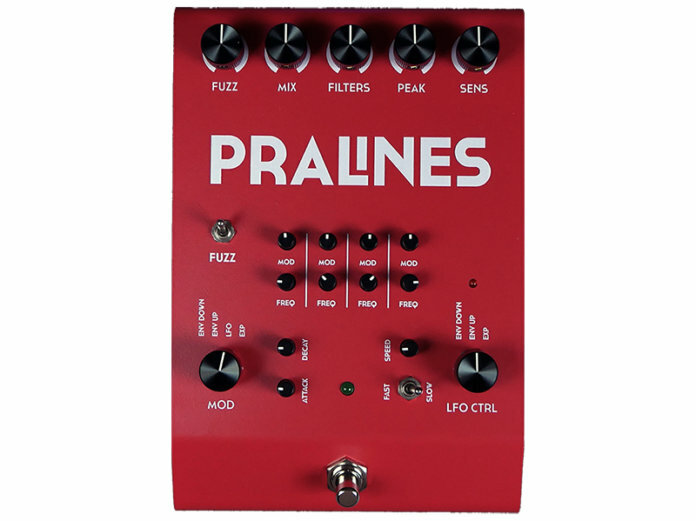 It’s also MIDI-compatible, linked to Source Audio’s Neuro Editing Systems. 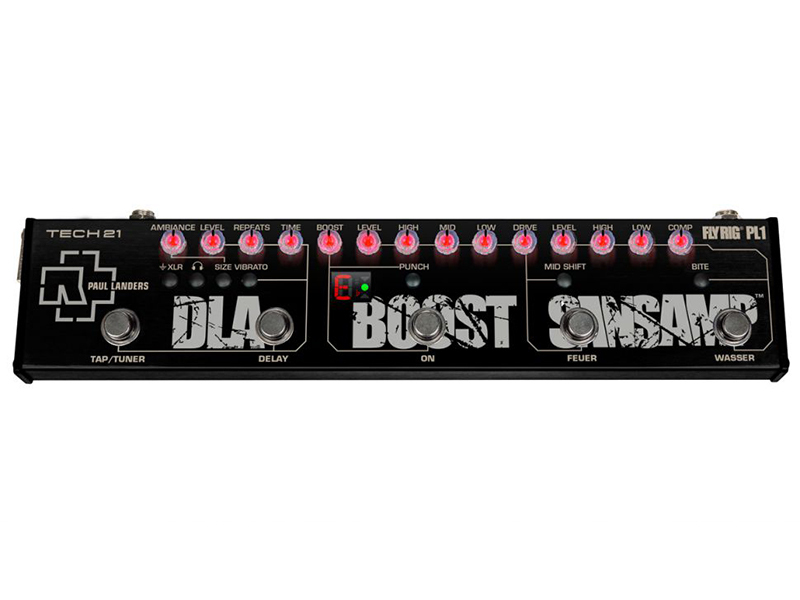 Tech 21 has teamed up with Rammstein guitarist Paul Landers on a multi-effects unit that combines two custom SanAmps channels, delay, vibrato, ambience and boost effects. 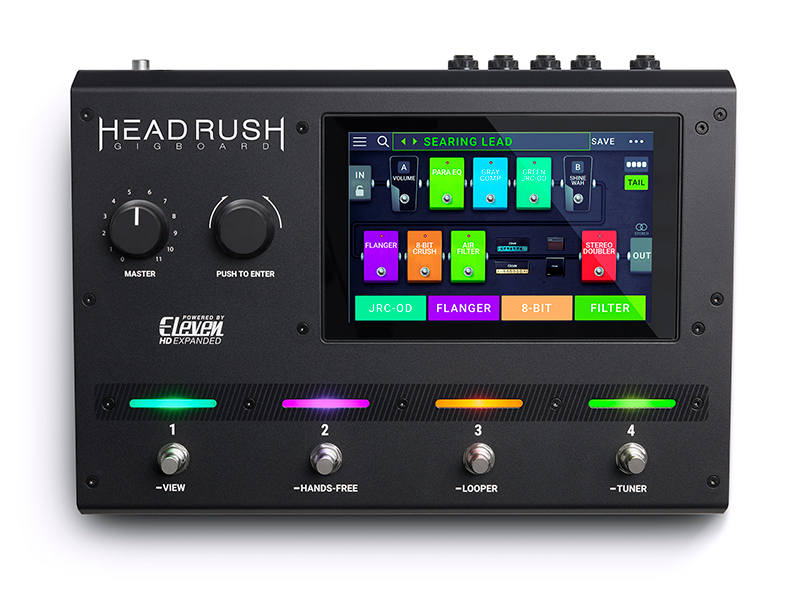 With the Gigboard, HeadRush presents most of the functionality of its Pedalboard in a portable enclosure. 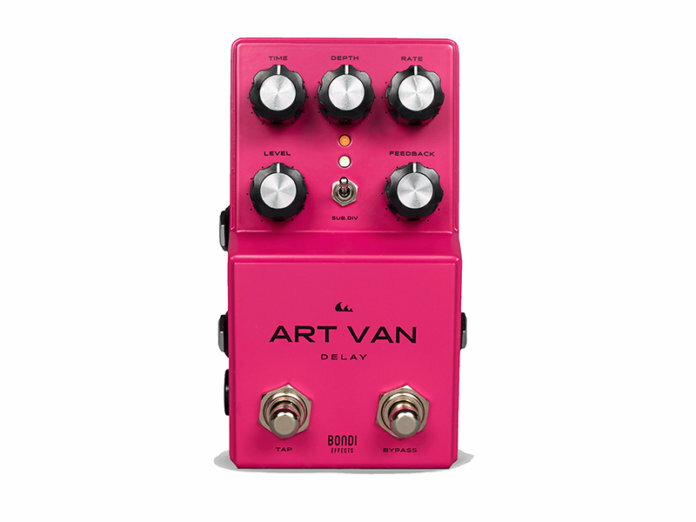 It shares the same quad-core processor, Eleven HD Expanded DSP software and seven-inch touchscreen as the bigger sibling. The Art Van Delay is a treat for bucket-brigade fans. 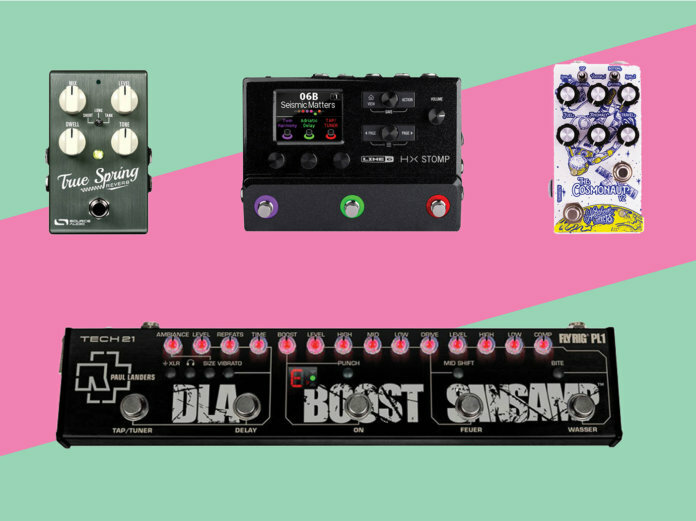 Bondi effects has combined that vintage design with modern digital modelling capabilities to create a pedal with the best of both worlds. 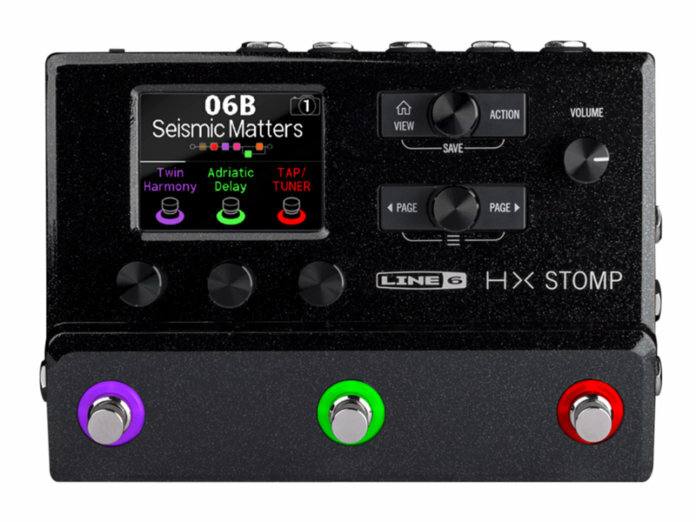 The HX Stomp is essentially an ultra-compact version of the Line 6 Helix. With 300 amp, cab and effects models, and numerous connection options packed into such a portable enclosure, this stompbox is a beast in its own right. 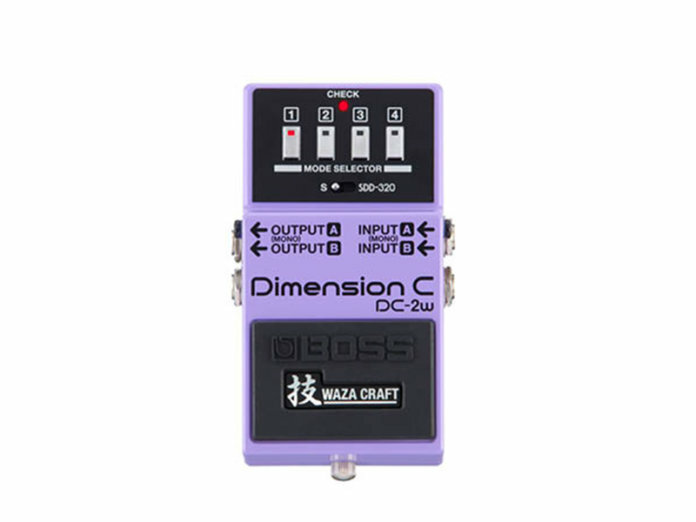 The DC-2W Dimension C is Boss’ latest entrant to the Waza Craft line of premium pedals. It combines two vintage effects units: the Boss DC-2 Dimension C stompbox and the Roland SDD-320 Dimension D rack unit. 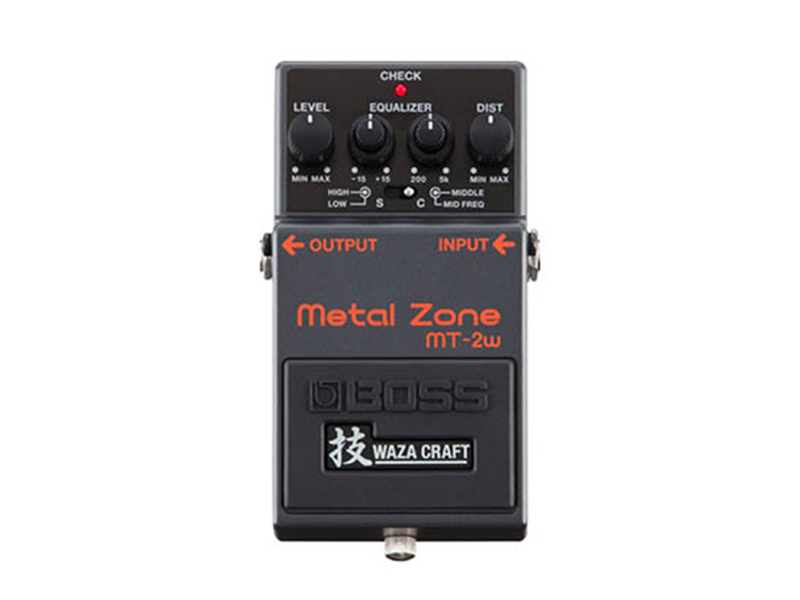 Another addition to the Waza Craft line, the MT-2W Metal Zone is all about high-gain tones with increased dynamics and a tighter low end. 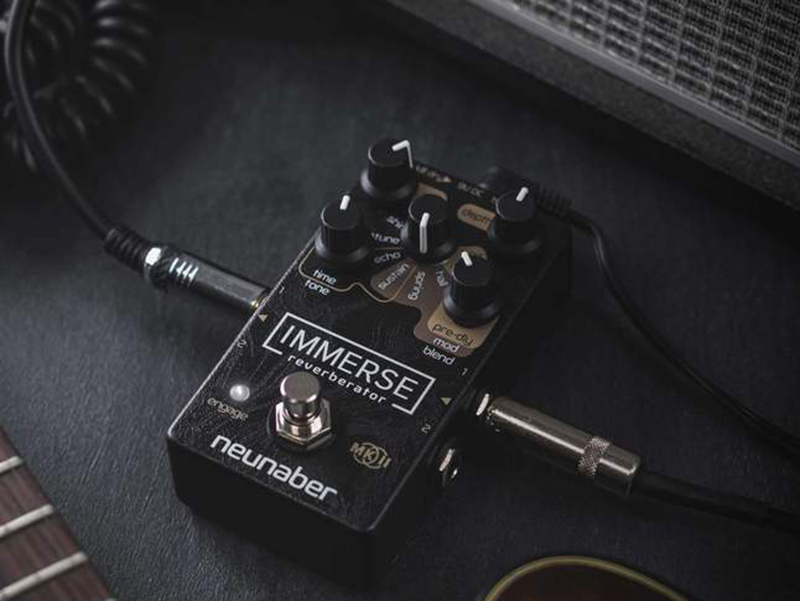 Neunaber Audio has refreshed its Immerse Reverberator circuit with an all-new reverb algorithm and sustain effect. 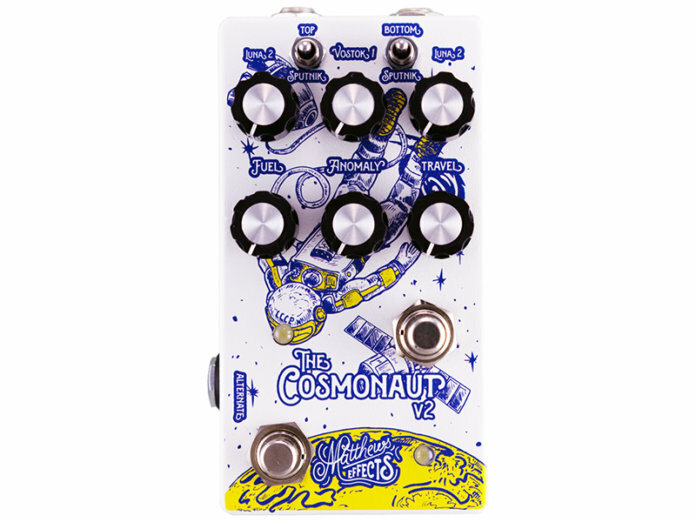 The Cosmonaut V2 is a beefed-up iteration of its predecessor, with new reverb algorithms and a fully wet mix option. 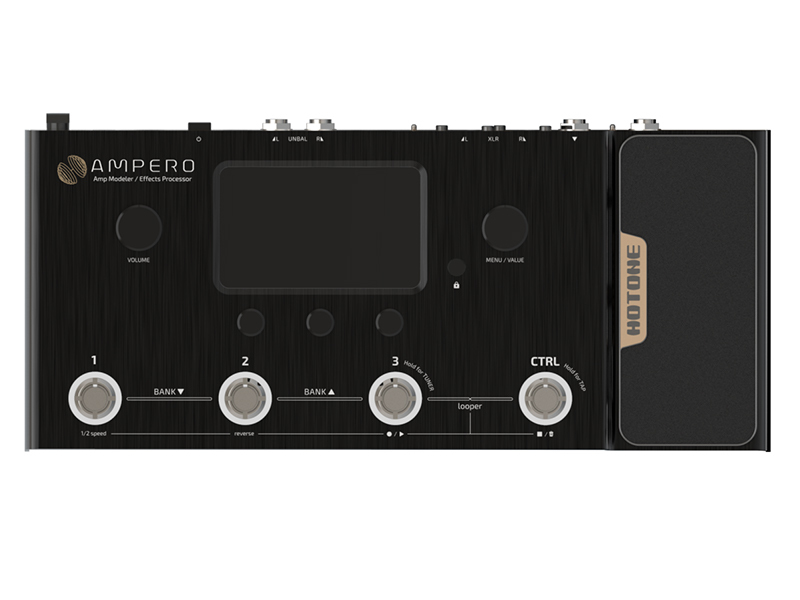 The MP-100 Ampero packs more than 240 effects, 120 amp and cab models, a colour touchscreen and a built-in expression pedal in a sleek enclosure–all for $300. 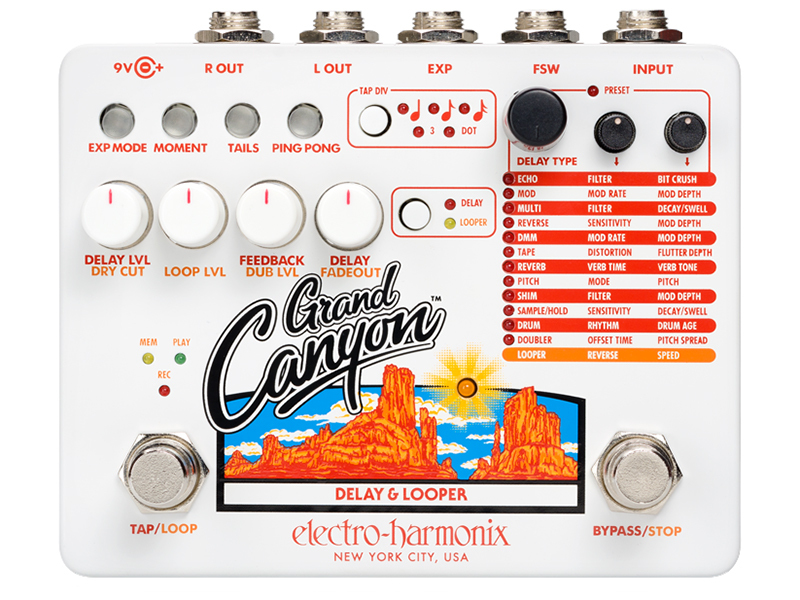 Like its name suggests, the Grand Canyon is a royal upgrade from EHX’s Canyon pedal. Stereo outs, tap tempo divisions, expression pedal and footswitch jacks are among the new additions to this unit. 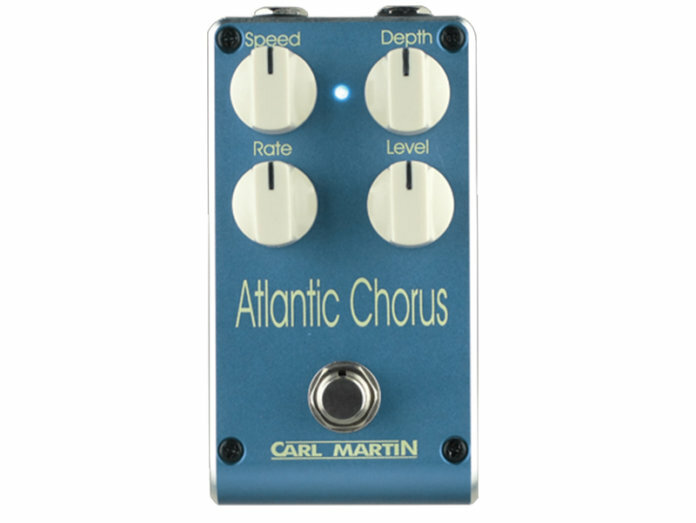 Carl Martin’s is a no-nonsense vintage chorus/vibrato pedal with a simple design, and comprehensive controls. The Blend Bass Drive offers ’70s-style overdrive, but also the option of blending in a clean signal. 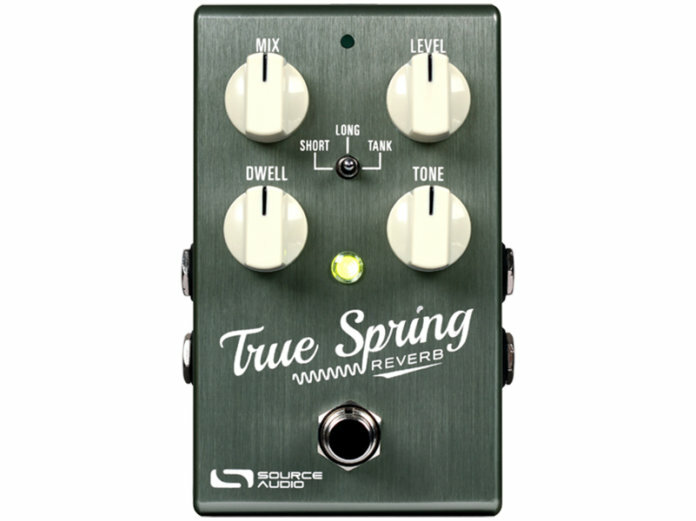 The pedal’s drive circuit is modeled after the legendary DOD 250 overdrive/preamp unit. MXR has released a 10th-anniversary version of the Carbon Copy Analog Delay, and it delivers nothing but bucket-brigade goodness. 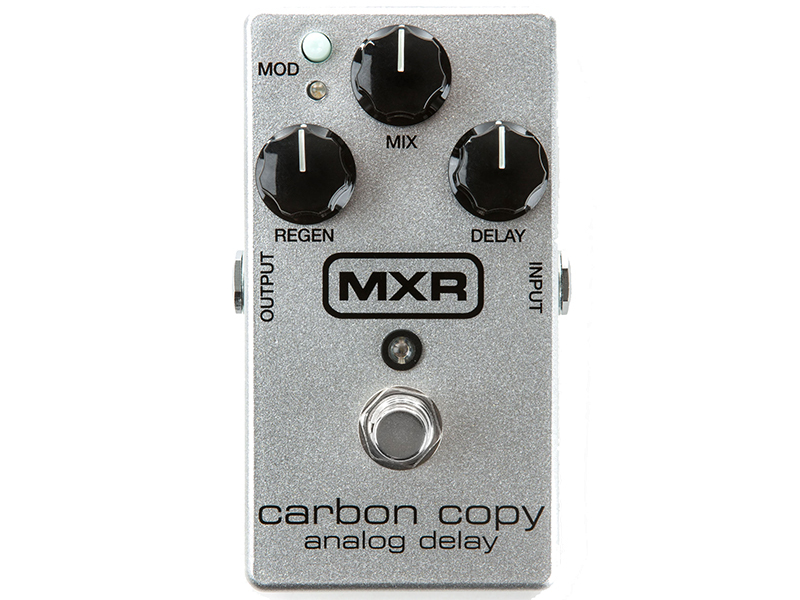 It’s also dipped in a modern metallic silver finish. 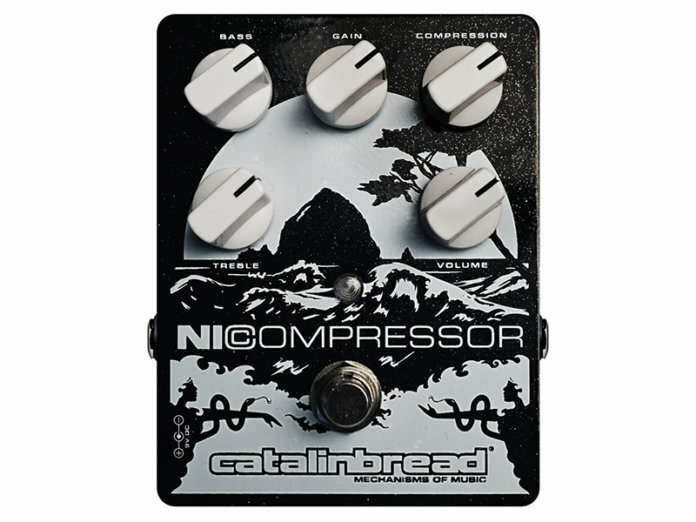 The NiCompressor’s crowning glory is its ability to extend dynamic compression, ensuring your guitar sounds rich and full, while still preserving top end. With its comprehensive set of controls, Glou-Glou’s new multi-band envelope filter unit delivers a sprawling list of effects–as many as a box of the sugary confection it is named after. The Trigonaut is a complex fuzz/modulation unit that offers the option of dialling in glitchy, experimental tones to a fuzz effect. 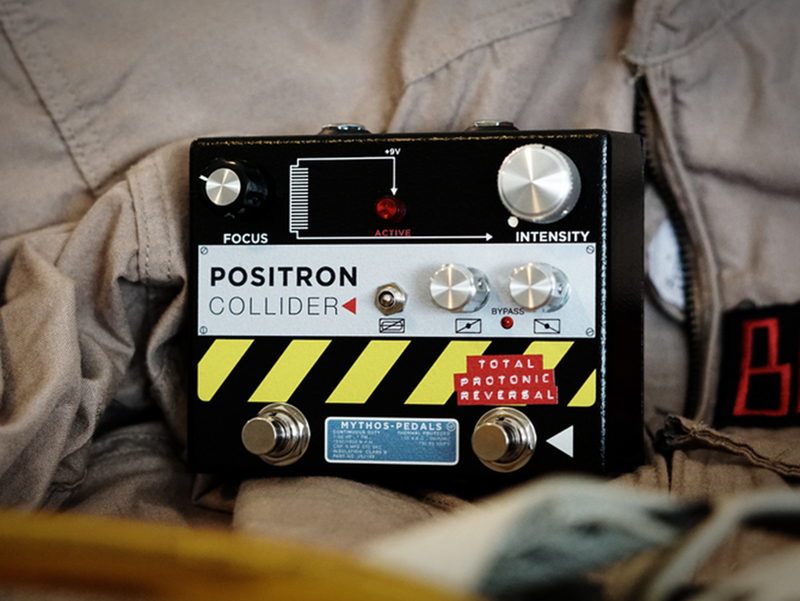 This is a fuzz unit that’s inspired by the ghost trap from Ghostbusters. 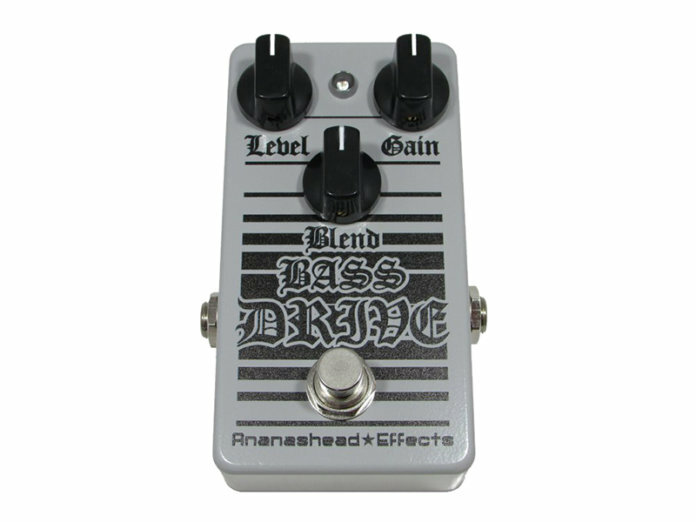 It’s based off a modified Big Muff, but has a few tricks of its own up its sleeve, including a handy clipping switch. 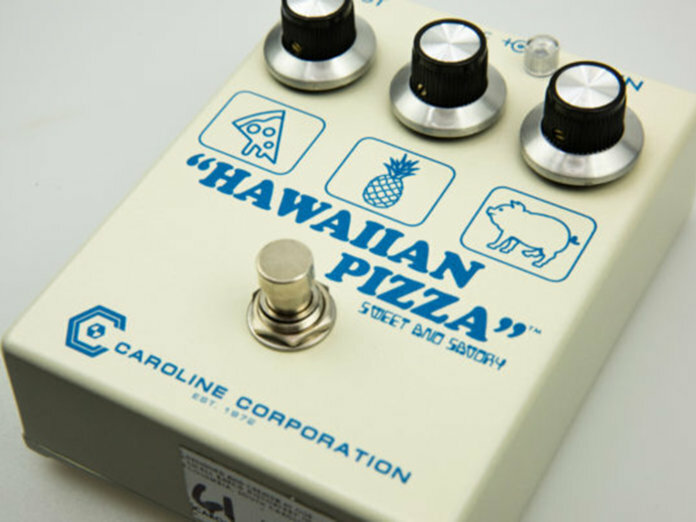 From gritty tube tones to vintage British styles to gated fuzz, Caroline Guitar Company’s Hawaiian Pizza offers a buffet of sounds and voices.